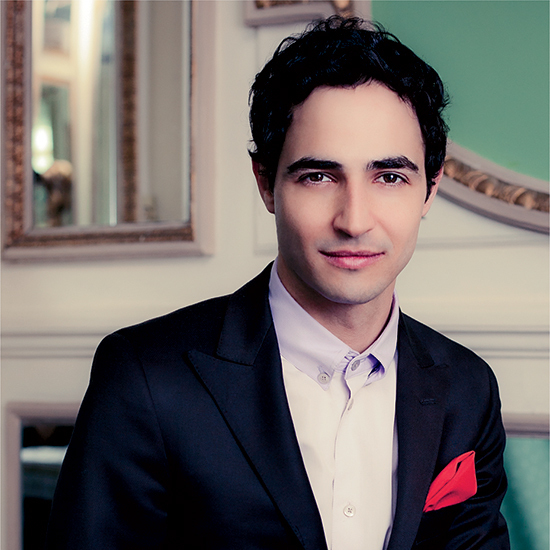 Fashion designer Zac Posen tells F&W about his food obsessions. When I was growing up, my dad cooked for the family every day, and on special weekends, my mom would bake with me. I had trouble relating to my middle-school classmates, so baking became my escape. I made elaborate cakes. Two cookbooks changed my life: La Varenne Pratique, which taught me techniques, and Martha Stewart’s first book, Entertaining. Now that I have the basics down, I don’t really use cookbooks—I can whip up dinner in an hour. I get my therapy by boiling tomatoes and peeling them for sauce. I love it. The chefs [F&W Best New Chefs 2012 Rich Torrisi and Mario Carbone] liked how I dress; Vito Schnabel, who curated the art for the restaurant, is like my brother. I’ve baked with Martha, and I’ve cooked with Giada De Laurentiis, Marcus Samuelsson and Mario Batali, but I would love to cook for Donna Tartt, who just won the Pulitzer Prize for The Goldfinch. I had dinner in Sardinia one time with my friends the Missonis, and they made these special ravioli I’m wild about, culurgiones: pierogi-like dough with fluffy potato-cheese filling. The key is to slide your pizza onto a really hot surface; I put a little pot of water in the oven for moisture. Once, for a five-course vegan meal, I tried to make a gorgeous fruit jelly. I used vegetarian gelatin, and the jelly never set. So, to soak up all the berry juices, I made lavender angel food cake.